Make unlimited domestic outbound calls simply by picking up your phone and dialing. The PBX may sound confusing at first, but if you break it up into a set of simple steps, you can begin to understand how the system works. A caller dials your Nationwide Toll Free number or a local number. They are immediately greeted by the Auto-Attendant that plays a pre-recorded greeting. This greeting can either be a generic message that Callture has pre-recorded, or a personalized greeting that you can record. Callers are then instructed to dial a specific extension (Example - Press 251 for Sales). The caller dials the extension number and is immediately routed to the phone that is associated with this extension. You can then either accept the call, or have it go into your voicemail. 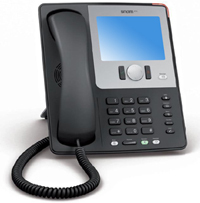 How to use a PBX ? Your PBX have several features that are useful to your business and they are easy to set up as well. If you need our help, we are just a phone call away.